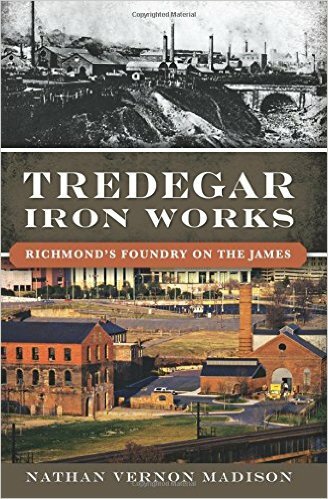 Madison's book is well-written and looks at the iron works as a whole, from its early establishment to its final shut down in the 20th century. It is very readable and entertaining. 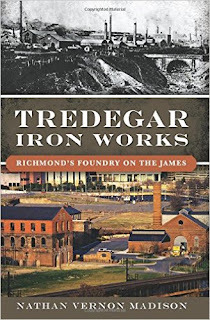 If there is a fault in the book I would say that it lies in the fact that the book really does not look much at the role the iron works played during the Civil War, during which it provided the only steady supply of armaments and other military material that the Confederacy could really count on. That is not to say that Mr. Madison ignores the role of Tredegar during the war... not at all. Madison spends much time on the management of the works, the labor issues involved, and the tragic explosion which killed so many young girls trying to work on percussion caps and raw materials. However, I just felt like there was more to the topic than what is in this book. Illustrated with photos and drawings.